SEOUL -- Hyundai Motor's quarterly profit fell 20 percent, hurt by South Korea's diplomatic dispute with China and slowing sales and losses at affiliate Kia Motors. 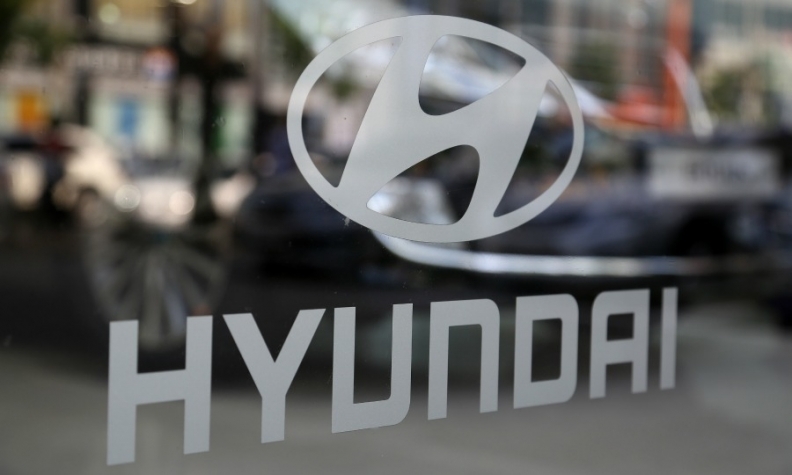 Hyundai reported a net profit of 852 billion won ($758.21 million) for the third quarter ended September, versus 1.06 trillion won a year ago. The company's shares rose over 6 percent to their highest since July, also supported by hopes that the worst may be over for the company's sales in China, the world's top auto market. But analysts cautioned sluggish U.S. sales may cap recovery. The third-quarter results reflect losses at Kia stemming from the 1 trillion won in additional wages that the company said it expected to pay out after a court ruled in favor of workers in a labor dispute earlier this year. Hyundai has not posted a rise in quarterly profit since 2014 due to its delayed response to rising demand for SUVs in the U.S.
Compounding its problems is China's backlash over Seoul's decision to deploy an anti-missile system, the U.S. Terminal High Altitude Area Defense, that has resulted in lower demand for Korean cars in China. The weakness in their biggest markets puts Hyundai and Kia on track to miss their global sales target for a third straight year in 2017, analysts have previously said. Hyundai's China sales fell 30 percent from January to September, while its U.S. sales slid 13 percent. Hyundai temporarily suspended China production in late August and early September as delayed payments prompted two foreign suppliers to stop providing parts. "There is a relief earnings were not worse than expected, said Kim Sung-soo, a fund manager at Seoul-based LS Asset Management. "But U.S. and China are the most important markets, and I don't have expectations of major sales recovery in those markets for the time being." In a bid to turn around business in its top markets, Hyundai replaced the heads of its China and U.S. operations in September. Its sales in South Korea, its No.3 market, rose 8 percent from January to September. To help boost China sales and in keeping with demand trends, the company plans to increase the number of SUVs it offers to 7 from the current 4 by 2020. In the U.S. too it wants to offer new SUV models, including Kona and Santa Fe, while "reducing inventory through flexible manufacturing," Hyundai CFO Choi Byung-chul said. Sales in the U.S. slid despite the automaker sharply boosting incentives. In the third quarter, Hyundai's U.S. incentives rose 26 percent. "The U.S. market is expected to be challenging because of continued weakness in demand and rising competition," Choi said. Hyundai and Kia, known for the top-down management style of Chung Mong-koo, are now looking to give more autonomy to regional operations so they can quickly respond to market changes while addressing slowing demand and rising competition. Analysts said Hyundai shares were also supported by media reports that China and South Korea were working to resolve the diplomatic standoff.